That tedious pre-departure bane, whereby you put a selection of essential and useful items in a bag to cover your everyday needs for the time that you will be away. Clothes – a selection of suitable garments to wear at your destination. Toileteries – those items required to satisfy basic, daily, hygiene needs. Medical / First aid – basic kit to treat cuts bruises, headaches, insect bites and vomiting. Of course, what you take, is a very personal choice, but it is dictated to a great extent by your destination and your activities whilst you are there. Whether you are canoeing down the Amazon or lying on a beach, in both cases, sun glasses, a sun hat and sun cream are all going to be useful and essential. However water purification tablets, a machete and a distress beacon, might be considered as non-essential, even totally useless, if you are going to cook on the Costas for a fortnight. As for those long nights in the Amazon, or long hot afternoons on the beach, a good book might bring some light relief. The packing process is not an exact science. You have ironed and neatly folded your clothing. You have laid out all your “essentials and usefuls” on the bed/floor/table, and now you proceed to place them carefully in your bag, in such a way that you get as much as possible into the confines of your suitcase, whist being able to close it with relative ease after packing. After the second packing, your bag is even fuller than before, but you are happy that the packing is finally over. The third packing phase involves a process known as “panic scrunching” – a few minutes before leaving home, you suddenly remember that you have neglected to pack some utterly useless items, that you can absolutely not travel without. The choice is a personal one. I always pack an extra, last minute camera along with extra adaptor plugs and a spare battery charger – what happens if I want to charge two sets of batteries at the same time?????? – And this is where the panic scrunching starts – you scrunch and screw all that neatly folded clothing into a twisted wrinkled mass as you fight to get the last minute useless crap into your case. Now, because everything is wrinkled, you pack that most useless of all items – the travel iron. 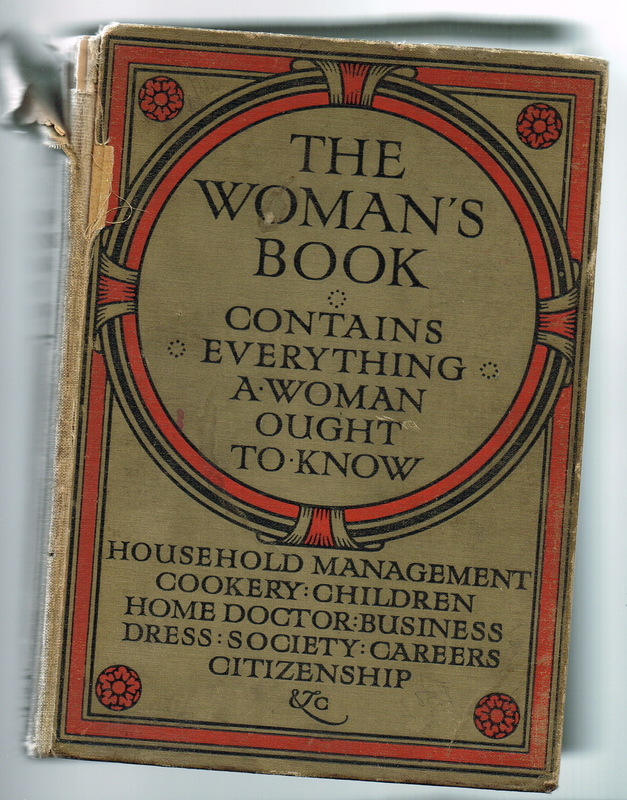 Published 1927 by T.C. and E.C. Jack Ltd.
Once all the essentials have been packed, there is actually very little room for clothing – a couple of T-shirts, a pair of jeans and a change of underwear – no pyjamas, because mum says that I can sleep in my underwear! Why pack anything at all though? Just take an empty bag and the clothes on your back. After all, you are going to bring back more than you have taken, so why take anything in the first place? One of the main occupations of travellers, is to spend long hours perusing local bazaars and boutiques in order to find some original item to take home to remind them of the time that they weren’t at home. Within the recesses of their bags, travellers will already have brought a few “home comforts” – items from home to remind them of home, even though one of the major reasons of their journey is to get away from home. So, to add to the possessions that they have brought, travellers, tourists, holidays makers and people of that ilk, bring home souvenirs. In the early nineteenth century, Lord Elgin brought home his holiday souvenir – the sculpted classical marble façades of the Parthenon. You, of course aren’t going to be “repatriating anything as grandiose, but you will be carrying a selection of rather naff, dust-gathering possessions that will augment the existing piles of tat that you have brought home from other sojourns in foreign climes. Think before you buy. When you arrive home, everything you have bought needs a home. Do you actually have the room to spare? And on the subject of dust – do you really want to be cleaning this rubbish for the rest of your life? There is the other consideration – “How am I going to manage to carry that back?” Which is the moment that you regret bringing so much in the first place. Unless you have an army of porters, a private jet, or are going to open a museum, bring home nothing. In a souvenir shop in Edibnburgh. A Chinese tourist inspects a “bagpipe greeting from bonny Scotland” fridge magnet. He truen it over, and reads in small print on the back “Made in China” – all this way to take home something from home. You can be sure that you never do use half of what you actually pack, and you will always need what you haven’t packed. It’s always there when you take and never there when you don’t. Towels – Whenever we stay at hotels, the better half always packs towels. The hotel provides towels, but we always take them anyway. The towel-taking is based on an unfortunate experience many years ago when we stayed at a cheap hotel where there were no towels. I know of course that the day we don’t pack towels, we will end up in a hotel with no towels. Hairdryers – we always take one, and there is always one provided when we get to our destination. The year we didn’t take a hairdryer, there wasn’t one, and one year when we took a hairdryer knowing that there wasn’t one at our destination, we forgot the adapter plug.